and DIY projects you won't want to miss! 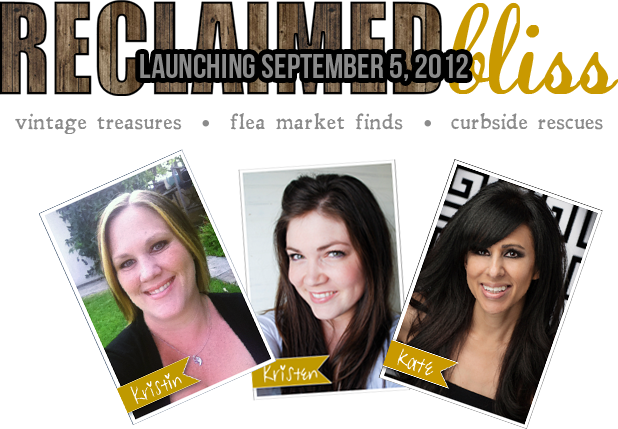 Three creative gals and one dynamic blog! See all of you lovelies there! Congratulations! I am looking forward to seeing all of you talented ladies sharing your projects together! Looking forward to seeing it all. I'll be there. how exciting!!! I can't wait! Looks like a lot of fun, Kate! I'm a new follower there, and shared it on my Itsy Bits And Pieces Facebook page, too! Kate, I loved your sweet comment. I am so excited for all of the fun we will have! Thank you for being so warm and welcoming :). You are the sweetest girl. This is going to be so. much. fun! Love this idea! Congratulations, this is exciting! This is exciting and so well deserved!